American statesman Henry Kissinger made a secret visit to Moscow to persuade the Kremlin to join a US proposal to slash the number of nuclear warheads on both sides, reports The Daily Telegraph. The former US Secretary of State met with both President Medvedev and Prime Minister Putin on the vist, the UK newspaper says. One of the world’s most controversial politicians, Henry Kissinger is again spearheading American foreign policy. In December, Kissinger – now 85-years-old – secretly flew into the Russian capital at the request of then President-elect Barack Obama. Kissinger was there to sound out the Kremlin on a bilateral reduction of nuclear weapons, the paper says. For two days he held talks with the Russian leadership. He put forward Obama’s desire to cut the number of warheads to 1,000 pieces on each side. It is believed Obama chose Kissinger for the task to neutralize Republican opposition to the plan. Kissinger worked in the administrations of two Republican presidents – Richard Nixon and Gerald Ford. Moreover, Kissinger is familiar with how the Kremlin works and has visited Russia on many occasions over the last years. Thomas Graham, one of the leaders of Kissinger Associates, a consulting company founded by Henry Kissinger, confirmed that the former Secretary of State did meet with the Russian President Dmitry Medvedev but not with the Russian PM Vladimir Putin. However, another source is positive that Kissinger and Putin met in secret at a residence near Moscow. Many Democrats dislike Kissinger. But Barack Obama is known to have built up good relations with him before taking over at the White House. Kissinger has publicly said Obama has a unique opportunity to create a “new world order” – but only if he implements the biggest shift in American foreign policy for half a century. The Moscow talks apparently bore some fruit. Shortly afterwards another Republican senator, Richard Lugar, visited the Russian capital. He has supervised nuclear disarmament for the last 30 years. It is now being suggested that Obama’s proposal could lead to a breakthrough in the row over US plans to put an anti-missile defence shield in Eastern Europe. 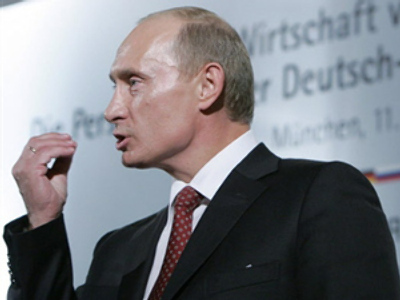 Moscow is so opposed to that idea it has threatened to send missiles to Kaliningrad if the US goes ahead. It is expected that the US and Russia could exchange proposals and start a new dialogue at the 45th Conference for Security in Europe, which starts on Friday in Munich. American Vice-President Joseph Biden and Russian Vice-PM Sergey Ivanov will report back to their respective governments on the issue. Henry Kissinger is expected to make a report on a “nuclear zero option” on the very first day of the conference. Barack Obama made nuclear disarmament an issue during his electoral campaign, promising to give a new spin to the Strategic Arms Reduction Treaty (START-1) signed in 1991 between Russia and the US. START-1 expires on December 5, 2009. Obama’s proposal is far more radical than anything in the START-1 agreement. Experts are divided over it. The American military has significantly changed over the last 18 years. These days American generals put their stakes on precision-guided weapons rather than on nuclear warheads. 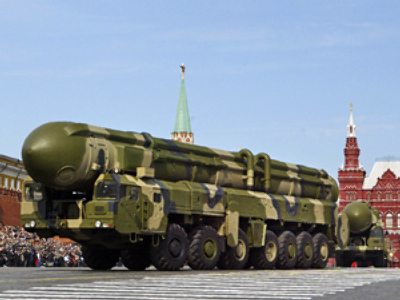 Maintaining nuclear missiles is expensive for both Russia and the U.S. The idea of cutting back on these expenses is attractive to both sides. But should a deal is done, it would put Russia and the US at the same level with China in terms of nuclear capability. Beijing currently has more than 700 warheads but is expected to have more in the near future. 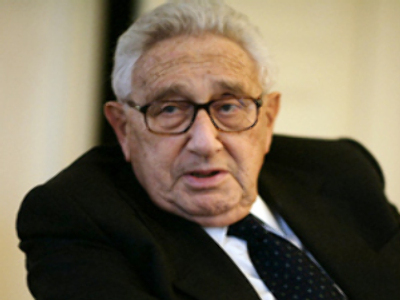 Henry Alfred Kissinger (born Heinz Alfred Kissinger) is a German-born American diplomat. He was US Secretary of State in the Richard Nixon and Gerald Ford administrations. Kissinger currently works as a political analyst and foreign relations expert. Kissinger was born into a family of German Jews in 1923. In 1938 the family emigrated to the US to escape Nazi Germany. From 1966, he was a foreign policy adviser to President Nixon. In 1973 he became Secretary of State, a position he retained under the leadership of Gerald Ford after Nixon’s scandalous resignation. Kissinger pioneered the so-called policy of détente towards the USSR and China. In 1973 he was awarded the Nobel Peace Prize for negotiating a settlement ending the Vietnam War. In 2001 human rights activists accused him of being linked to the bloody repressions in Latin America, which started after the military came to power in Chile, Argentine, Uruguay, Brazil, Paraguay and Bolivia in 1970s and 1980s. They claimed that with the assistance of US special services, these regimes kidnapped, tortured and killed those who opposed them.